Quintessentially British! 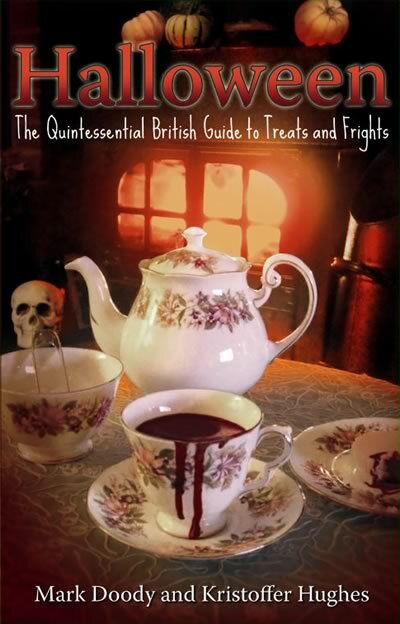 The first Halloween book with an entirely British flavour, providing an in depth look at the ancient roots of Halloween and its traditions, to the modern practice and the influence of the United States on this colourful, scare-filled festival. The authors, who themselves are Halloween fanatics, take the reader on a rollercoaster ride through time, through tradition and into the practical aspects of celebration, tricking and treating. This book is jam-packed with facts, anecdotes, useful tips and easy to follow, step by step guides to decorating and feasting. Meticulously created to suit every budget, there is something for everyone in this book. Discover the ancient origins of Trick or Treating, of costumes and pumpkin carving and how a festival has continued for over 2,000 years. Be inspired to create goulish, ghastly creations from everyday materials to transform your home into a place fit for the dead. Delight in mouth-watering, simple recipies for your best Halloween party yet! Follow ideas and suggestions for party games, ancient traditions, sizzling cocktails and beverages. Be spooked by Halloween tales of terror. What you will have in your hands is a whole cemetery of sinister goodies to baffle the senses and which will have the spirits cramming at your door in envy! So pop the kettle on, pour a steaming cup of tea, and settle down to enjoy a book that will surely become a Halloween favourite.